The day before her death, Anne Boleyn remembers a journey that changed her life. She recalls how, as a young girl, she used her wits to secure a place at the prestigious Court of Margaret of Austria, where she soon realised that a woman had to be strong to survive the treachery of Court politics. And she came to understand that she must shape her own destiny if she was to be happy. It is here that she met the young man who would one day make her his Queen. However, loathing his hateful boasting, this girl had plans of her own, and she was determined to impress her ambitious family. 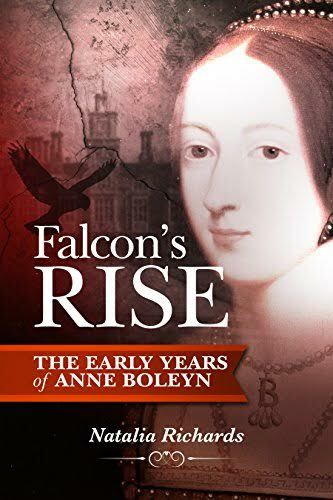 Eight years in the writing, with meticulous research, Falcon's Rise shows how the young Anne Boleyn grew into the woman who captured the heart of a King. The second book, Falcon's Flight, covers Anne's time at the dangerous French court. It follows her travels, her experience of first love, and her survival.